What better way to show your love for your special someone on Valentine’s Day than by cooking a romantic meal for two. Here are five delicious and easy dishes to prepare for your sweetheart. 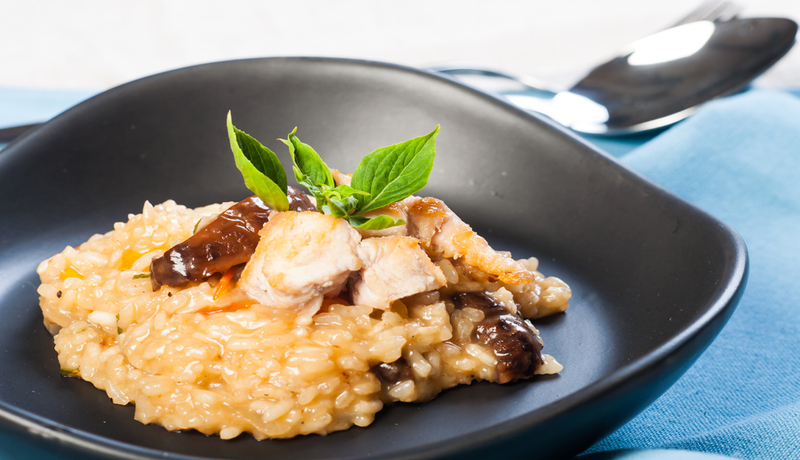 Cooking the risotto in the oven allows you to easily prepare a creamy risotto dish without the need to spend a lot of time stirring. 2. In a Dutch oven or oven-safe skillet, stir the onion, garlic, mushrooms, broth and rice. Bake uncovered, for 35-40 minutes or until the liquid is almost entirely absorbed. If the rice has absorbed more than half the liquid after 20 minutes, cover the skillet. 3. Remove the pan from the oven and mix in the, butter and cheese. Stir until combined. 5. Stir in the chicken. For this meat lover’s dish, you may want to prepare the marinade in advance and let the steak absorb all of the flavors while you enjoy quality time with your Valentine. 1. In a bowl mix whisk the vinegar, oil, garlic, chili powder, tarragon and salt. 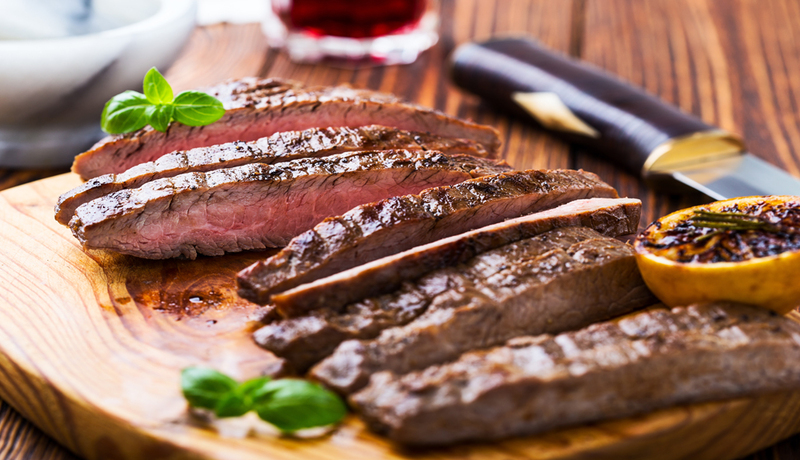 Marinate the steak in a large sealable bag for two hours before cooking. 2. Prepare the sauce by whisking oil, mustard, lemon zest and juice, anchovies, and garlic in a bowl. Stir in the mint, parsley and basil. Season with salt and pepper. 3. Season the steak with salt and pepper before grilling. Once it has cooked to the desired temperature (145 degrees for ‘medium’), remove and let rest for 15 minutes before slicing. 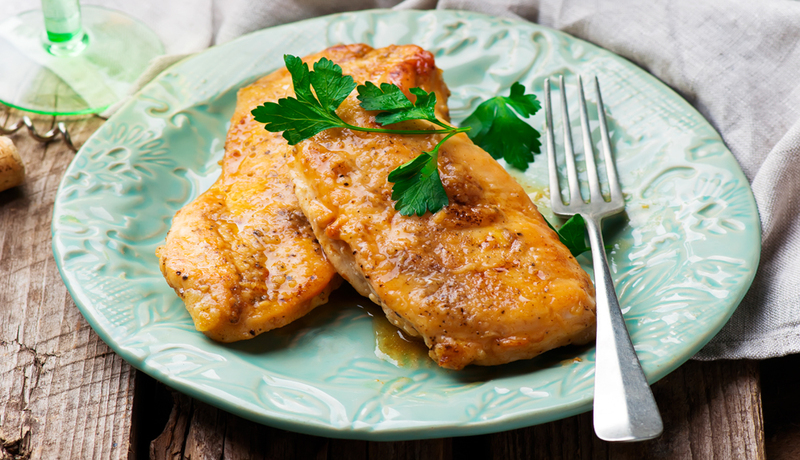 There are many variations to the classic Italian chicken Marsala recipe. This one is full of flavor and will leave you and your Valentine craving more. 1. Flatten chicken to half an inch thick. 2. Mix the flour, basil, and a pinch of salt and pepper in a large sealable plastic bag. Add a piece of chicken, shake to coat, and repeat until all pieces have been coated. 3. Place one tablespoon of the butter in a large skillet. Heat on medium and cook the chicken for about 5 minutes on each side. The chicken will be done when the juices run clear. 4. Add the remaining butter to the skillet and sauté the mushrooms and garlic until tender. Pour in the wine and lemon juice. Stir the liquid and loosen up any brown bits on the pan. Reduce to about 2/3rds. 5. Place the chicken in the pan and sprinkle the cheese on top. Simmer for 2 minutes. 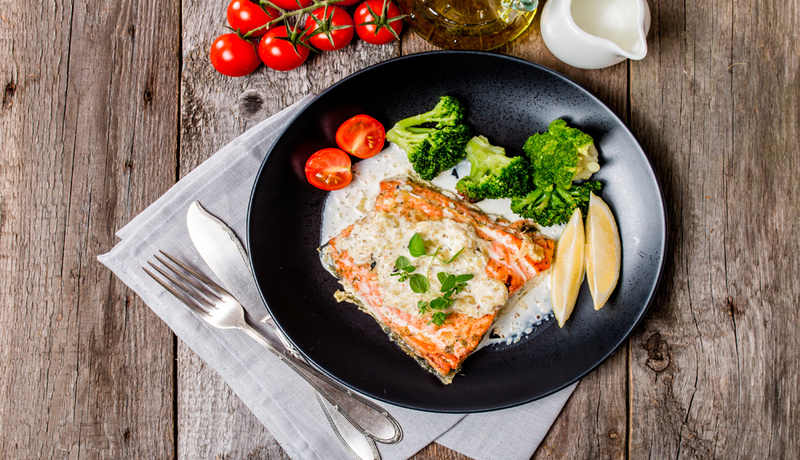 You won’t have to work that hard to show your dedication to your Valentine when you prepare this delicious combination of salmon, dill and sour cream. 1. In a bowl mix the dressing, sour cream, garlic, dill, chives, parsley, salt and pepper. 2. Brush the skin side of the salmon with olive oil. 3. Place the salmon on a grill with the skin side down. Spoon the cream mixture on top. Cover the grill and cook over medium heat for 13 minutes, or until salmon easily flakes using a fork. Crab lovers should make the effort to get the freshest crab available for this easy to prepare dish. 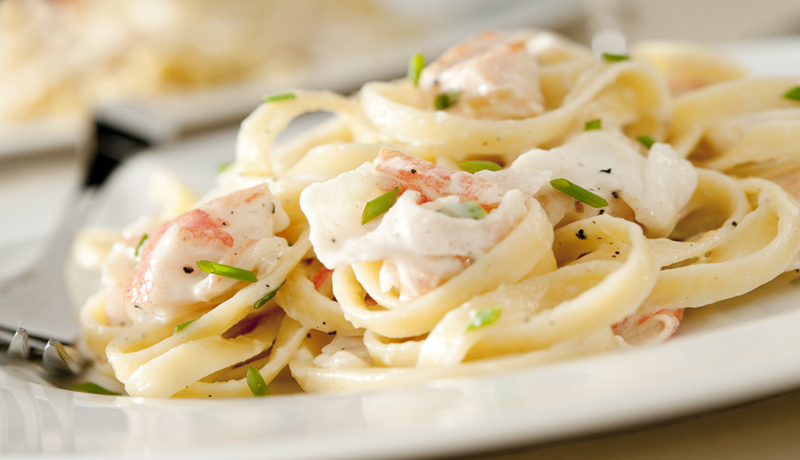 It is a scrumptious combination of crab, cheese sauce and linguine that can turn any day into a reason to celebrate love. 1. Cook linguine to al dente, according to package directions in a large pot of heavily salted water. Once drained, return to the pot. 2. As the pasta cooks, melt the butter in a large skillet set to medium heat. Add the garlic and cook for about a minute. Add the flour and stir until combined. 3. Add the heavy cream and chicken broth and simmer until the mixture thickens. 4. Add the cheese and fold so that all of the cheese can melt. 5. Add the seafood seasoning, salt and pepper and stir in parsley. 6. Stir in crab meat and coat. Add in linguine and toss.